Jeff Gordon on a winning roll! 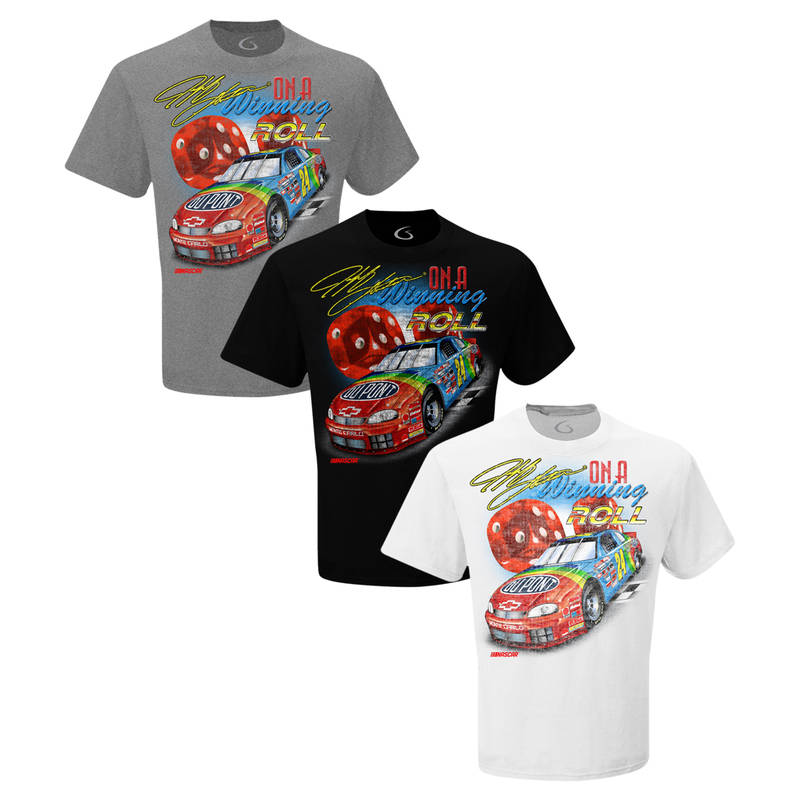 This awesome retro tee is based on one of the most popular designs from Jeff’s historic 1998 season. During the 1998 season, Jeff won an incredible 13 races out of 33 starts! That season also included 1,717 laps led, 7 poles, 26 top 5s and 28 top 10s, resulting in an average finish of 5.7. The Jeff Gordon Store is proud to exclusively offer this distressed design on the highest quality super soft tri-blend materials. These tees feel amazing. Expected ship date is mid-January 2018. I love my Jeff Gordon tee shirt. I have so many of Jeff's tee shirt's. I will wear it with pride. Winning roll tri blend tee shirt.